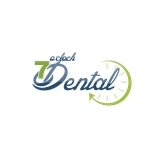 7 O'Clock Dental, LLC (New Orleans) - Book Appointment Online! At our downtown New Orleans office, Dr. John Tripp and his entire staff are dedicated to providing you with quality care when you need it! We open bright and early at 8:00 a.m., and we don’t leave the office until we see our last patient at 7:00 p.m.! Our appointments are flexible, our office is comfortable, and our staff is always practicing compassionate care for everyone we see! Highly, highly recommend! Nice, professional, and did a great job with my teeth. Also wasn't looking to overcharge me like other dentists I've come into contact with in NOLA. Overall fantastic service!